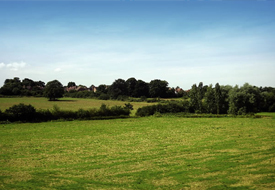 Eden House is located in Edenbridge - a small commuter town set in the idyllic Kentish countryside with a high street boasting many attractive and historic buildings, some of which date back to Roman times. Edenbridge is served by two railway stations providing regular services to Oxted and East Croydon with connections to London Victoria and London Bridge and is also easily accessed by road. 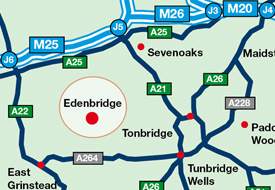 Conveniently located near to the M25 and M23 motorways - Gatwick Airport, East Grinstead, Sevenoaks and Tunbridge Wells are all within a 30 minute drive.